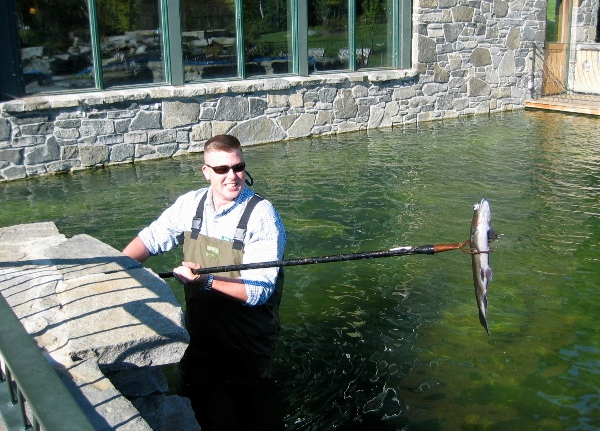 Breathable waders stop breathing when the air temperature reaches 80 degrees. I know this because Tyler knows this. Tyler is the name I've given - in honor of Chuck Palahniuk's novel, Fight Club - to my alter ego. He's the embodiment of my peccadilloes, those aspects of myself that don't quite live up to what is normally a godlike self image. Tyler is a near 300 pound man who is so out-of-shape that he sweats if he so much as thinks of walking from the living room to the kitchen for another beer. I try telling him he needs to drop a few pounds, and maybe eat a carrot or something. He doesn't listen. Tyler stopped smoking to avoid cancer, but he's likely to die of heart disease instead. Being a morbidly obese bug chucker is both a blessing and a curse. Winter steelheading is great fun. The chill of the snow and the bite of the wind cannot penetrate the three or four inches of gelatinous goo that cover and protect my otherwise Zeusian physique. The summer months, however, can be downright brutal. Ninety degrees is warm no matter who you are. When one's birthday suit is made out of triple layer fleece interwoven with 3M Thinsulate ... well ... you get the picture, and the portrait before you is a sweaty one indeed. 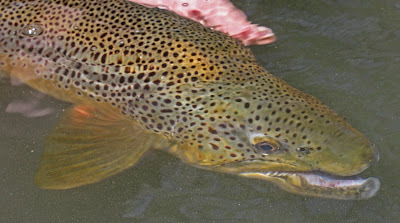 So with the air temperature expected to rise into the high eighties or low nineties, I spent one day this Memorial weekend chasing trout up and down two of my favorite rivers, chasing trout and sweating with aplomb. What follows is a short pictorial report. A few of my readers will recognize the location of this sign, but all of my readers will understand just how refreshing is such a public showing of public access. Nymphs were the order of the day and Ben was the first to hook up. My first fish just happened to be the best I've taken on a stonefly nymph. I expected more rainbows than graced us with their presence, and I'm left wondering if last year's drought had an effect on the population. 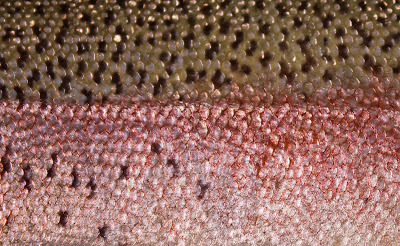 On the largest of the bows, the colors were stunning. 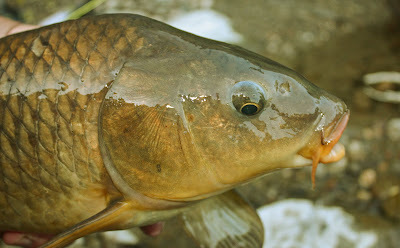 The day's bonus was my first carp of the year. Initially, I thought this five or six pound fish was a big brown trout. I was not disappointed when I discovered its true identity. Later this year, one of my close friends is making the trip to Idaho to fish for trout and steelhead. While researching his trip, I came across the following video. Do us all a favor, and watch it all the way through. If this doesn't make a conservationist of you then I don't know what will. The Greatest Migration from EP Films on Vimeo. There are those years when the local hendrickson hatch can produce fish and fishing much like that portrayed in the following video. 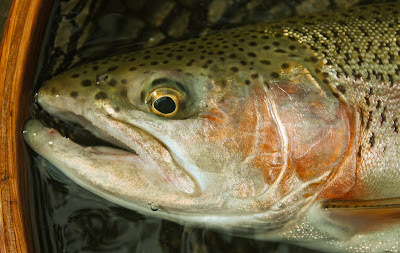 This year's rain has put a serious damper on both the hatch and the fishing. I need to get back to Montana. If you spend any amount of time perusing the many fly fishing related blogs and websites that drift through the cyber-nether, then chances are you've read something about the fad that is proving the bane of so many bug chuckers. It seems that someone decided it was a good idea to weave grizzly saddle hackle into a woman's hair. 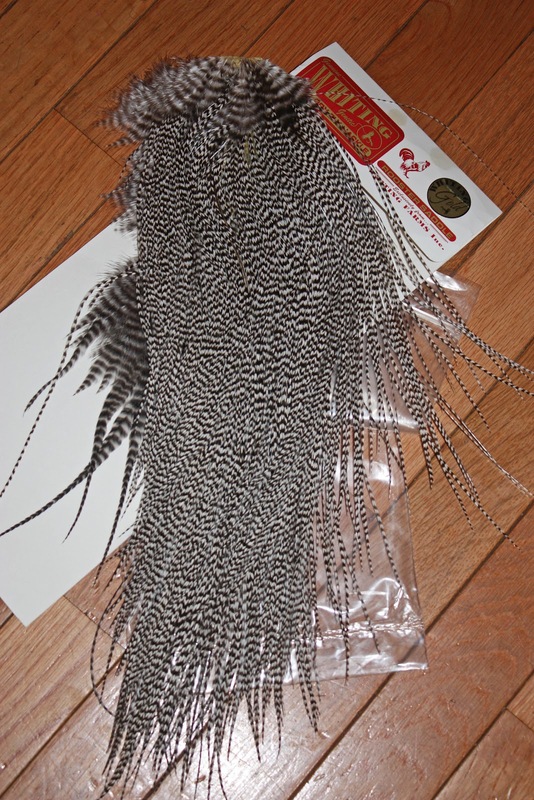 The fad caught on, and just a few months later it is impossible to find decent dry fly hackle (unless you're happy to use capes as I am). Well, tonight I've given in. I can no longer resist. I've listed on Ebay the first of several saddles I'm thinking of selling. I bought the saddle pictured below for just over $30.00. 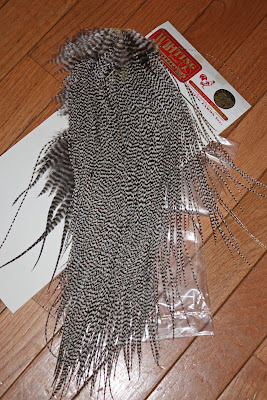 I've never plucked a single feather from the skin, and I wholly anticipate getting my asking price on Ebay. For anyone interested in seeing how this thing progresses, the auction number is 150607393557. Wish me luck. If all goes well, I see a new rod in my future. If you happen to be wondering why I've suddenly hopped on the bandwagon, click here to see my inspiration. Late last week I left the river feeling a little frustrated. Truth be told, I walked into the river feeling that way, and my performance during the evening spinner fall didn't do anything to alleviate my dissatisfaction with the day. The hike back to the car left me tired and in an especially sour mood. As I stripped off my waders and stowed my rod, I was greeted by a familiar voice. My good friend, Frank Sheldon, owns a home near the river, and he came over to say hello when he recognized my car. We spent thirty or forty minutes catching up on the months since we had last seen each other. 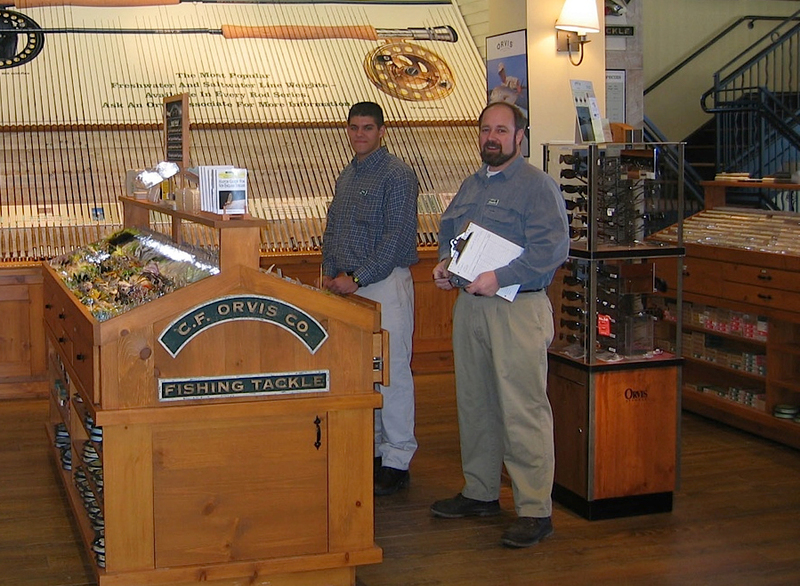 Friendly banter soon turned to reminiscence of our time together working for the Orvis company in Manchester, Vermont. As I left for the long drive home, Frank promised to email me with some pictures he found that capture some of our time there. I thought I'd share with my readers, this little trip down memory lane. 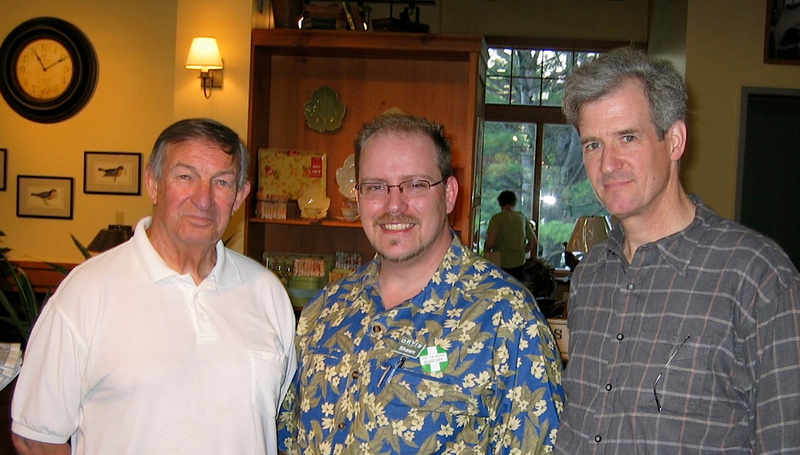 From left to right we have Bill Cairns (former major league pitcher, piscatorial curmudgeon, and founder of the Orvis Fly Fishing School), Shawn Brillon (former fishing manager at Orvis' flagship store, currently one of the product developers for Orvis corporate), Thomas Ames (fly fishing writer and resident bug guru). 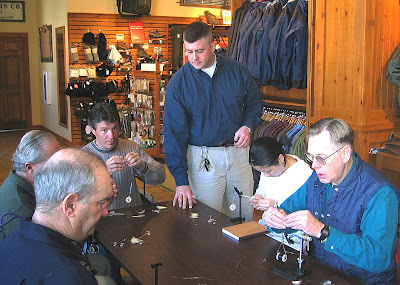 That tall, gruesome guy giving a fly tying class is me. The young woman to my left was far and away one of the most talented students I ever had the good fortune of teaching. She watched me perform a single whip-finish, and had the process perfected on her first attempt. This is how we handled the diseased hatchery-fish that expired on the bottom of the pond. Now if only I could find those pictures from Christmas Eve of 2005. I played the role of Santa Claus at the store, and spent the day dressed as Saint Nick while casting a fly out on the Orvis ponds ... caught fish too. 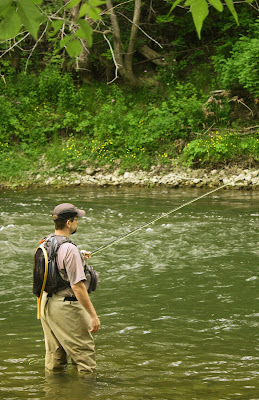 Drew Price is an accomplished angler, guide, blogger, and teacher. He is the owner and operator of Master Class Angling, a guide service working out of the Vermont north country, and a Vermont state record holder for white-sucker (when you're done chuckling understand that Drew targets with the long rod, all manner of warm water species ... some of which I can almost certainly guarantee you've never even imagined). For whatever reason, he decided this week to descend from his lofty height to interview me for his blog, Drew Price Fly Fishing. I'd be lying if I said I didn't enjoy the process. Drew may look like the grumpy old troll who lives under the bridge (little Dora the Explorer reference for those of you with young children), but he's a good man and a most accomplished bug-chucker. I'd be lying if I said I wasn't flattered by the invitation, and that I didn't enjoy answering the questions. You'll find the interview here, Drew's state record sucker here, and pictures of two-headed calves here. 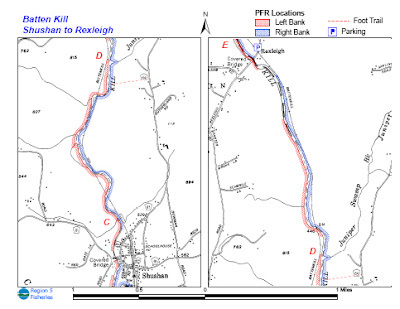 The Battenkill is a tremendous river, rich in both history and opportunity for the intrepid bug chucker. 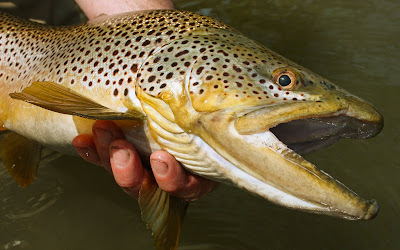 In its Vermont headwaters, the character of the 'Kill is much like that of a spring creek: slow, marshy, rich in aquatic life, and blessed with abundant brook trout and many large browns (many anglers will tell you these fish don't exist). A few miles downstream the river changes, and becomes a classic freestone stream. She continues on that way for many miles, changing again only when the river reaches the areas just upstream of the town of Greenwich. Here, the river again slows as it prepares for its descent into the Hudson. There is very little water on the Battenkill that isn't fishable. 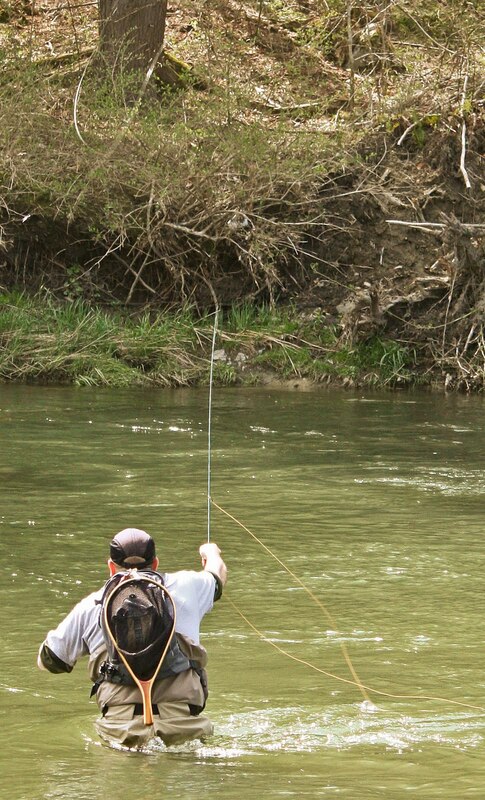 As is the case with most any trout stream, however, some stretches are better than others. I'll leave it to you to figure out which sections those are, but believe me when I tell you that there are plenty of large, wild fish to be had. They won't come easily to hand, but with time and a few miles under your belt, they will come. Don't be afraid to walk a mile or two, or to try across the borders of New York and Vermont (purchase a New York license here - Vermont licenses may be purchased here). What may be best about the Battenkill is access. 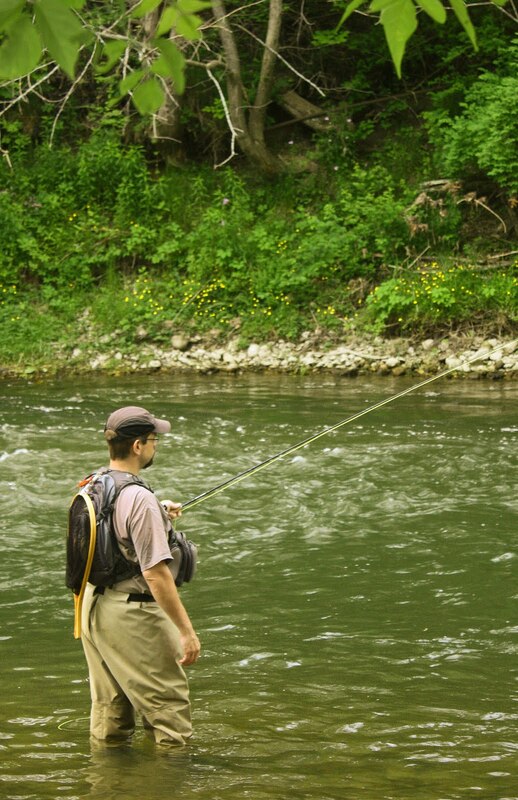 Much of the river - in both New York and Vermont - is readily accessible by the fishing public. In Vermont, most of the land surrounding the Battenkill is private, but landowners there are generally willing to allow bug chuckers the right of passage. Don't be afraid to knock on a door, and respectfully ask permission. It's unlikely you'll be denied. 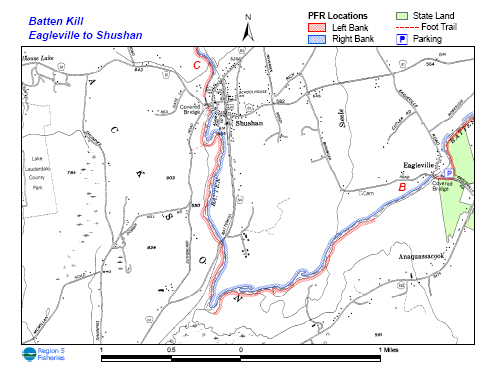 Landowners aside, there are several public access sites maintained by the Vermont Department of Fish and Wildlife. 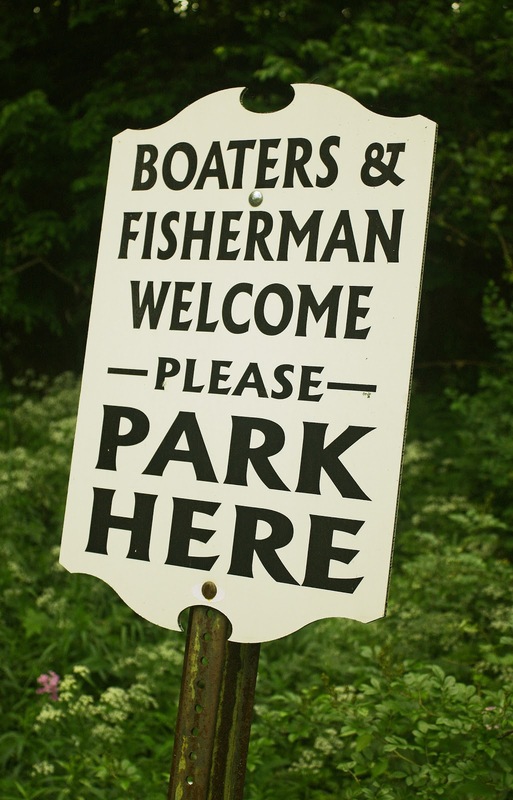 As long as an angler has gained legal access to the water through a public site or landowner permission then he or she is allowed walk the shoreline along the high water mark on any navigable water. Navigable water is defined by Vermont as any water that a log - 48 inches long by six inches in diameter - can float down at least one week out of the year. This regulation covers nearly every square inch of the Battenkill from its headwaters to the point where it meanders into New York. 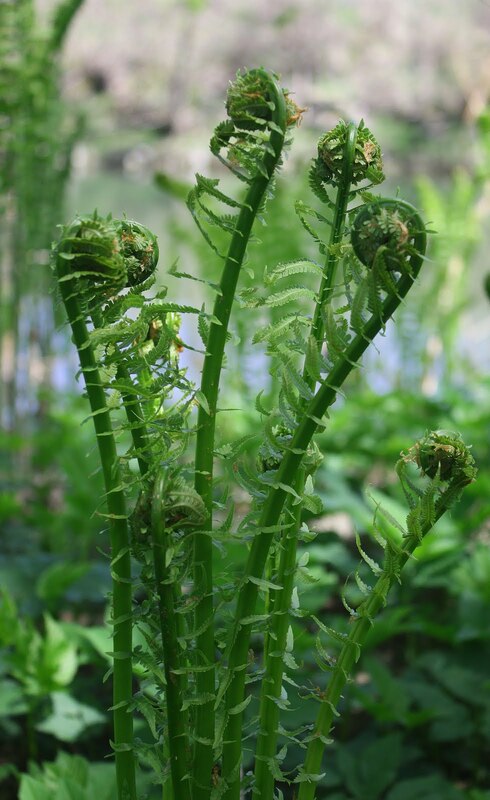 ... it is the angler's responsibility to know where the easements begin and end. 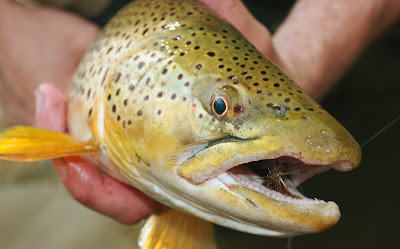 Not only does knowledge ensure that the angler is in compliance with the law, but it also arms the angler against unscrupulous landowners who may attempt to force a bug chucker off of public water (this has happened more than once in recent years ... email me for specifics). 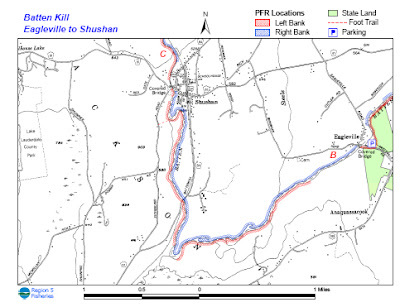 The maps below illustrate all the public water along the entire length of the river as it runs through New York. 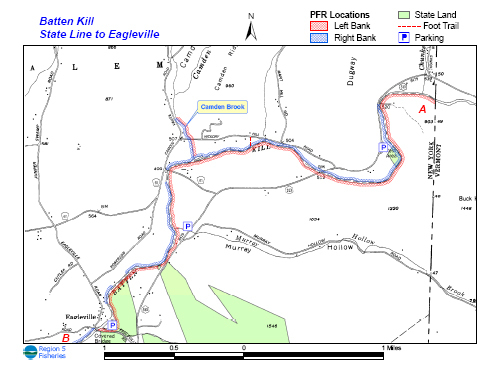 The blue and red lines follow state easements, with the blue line marking the right bank as one looks downstream and the red line marking the left. Again, these easements may be accessed from any designated, public-fishing parking area or roadway/train bridge. I must admit that I sometimes have trouble finding the inspiration for new, blog-worthy material. More often than not, I write about my time on the water. Occasionally, I'll discuss those issues of conservation or ecology that impact the areas in which I fish. Rarely, I'll do a fly tying segment (I've been after some better tyers than I to contribute their talents to TRS). I suppose I could do technical stuff - talk about nymphing, leader construction, or something like that - but that's just not me. I'm more of a "why do I fish" guy than I am a "how do I fish" writer. That having been said, it occurs to me that as both a hapless fisherman and hopeless scribbler, I often take my inspiration from other writers. What follows is a list of books and authors that have in some way helped me to better appreciate my time on the water. First and perhaps foremost on the list is Nick Lyons. Lyons is almost singularly responsible for the revival - over the past two or three decades - of fly fishing literature; his publishing house, The Lyons Press, discovered many contemporary outdoor-writers, and re-issued many of the cornerstones of the fly fishing canon. As a writer, Lyons is appealing simply because he is accessible. He does not write obtuse, jargon-laden textbooks; he seems too self-deprecating ever to assume the mantle of expert. Instead, Lyons is everyman. He unflinchingly details his failings as a fly angler: dropped back-casts, wading disasters, poorly tied flies, the many fish that got away. 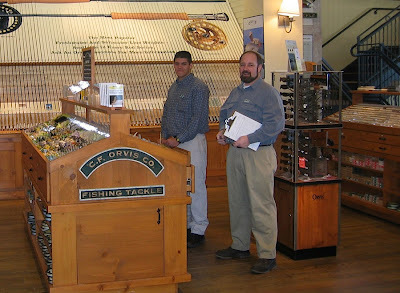 In telling his story, Lyons tells our story - yours and mine - and the story of a greater fly fishing culture. 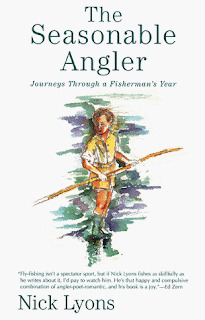 His titles include The Seasonable Angler: Journeys Through a Fisherman's Year, Confessions of a Fly Fishing Addict, and Spring Creek amongst others. Every word is well worth a reader's time. 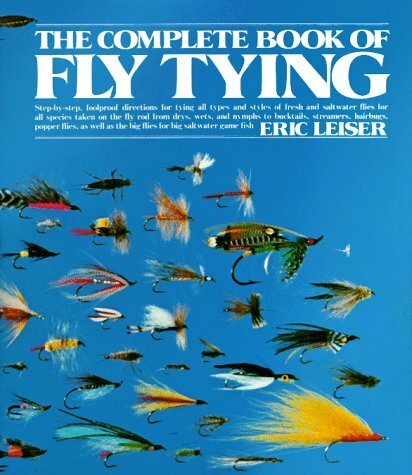 I learned to tie flies not from observing my father or grandfather (Dad is a bait-dunker and grandpa didn't fish), but from perusing the pages of Eric Leiser's, The Complete Book of Fly Tying. I remember the day I received the book as a gift; it was May 17th, 1983 - my 10th birthday. For reasons unknown (again, he was not a bug chucker) Dad introduced me to fly fishing four years prior, and the seed had taken root. I carried my rod - an 8' Garcia Conolon - everywhere with me. On one occasion, I even brought it to school for show-and-tell. 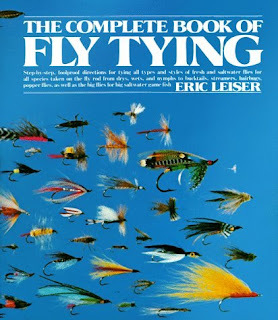 I must assume that in my father's mind, the natural progression was that I learn to tie flies, and as he couldn't teach me, he may have hoped that Leiser's book (likely chosen at random) could. 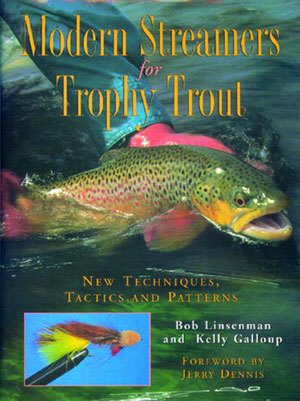 Simply put, The Complete Book of Fly Tying may be the best fly tying primer ever written. I would offer it up for comparison to any of its more contemporary and photogenic cousins. Keep in mind that macro photography was not then what it is now. Good photographs were expensive both to take and to reproduce. As such, Leiser's words had to be absolutely clear, and they were so very crystalline that a ten year-old boy could - with relatively little effort - learn the processes of whip finishing by hand and wrapping a proper parachute hackle. 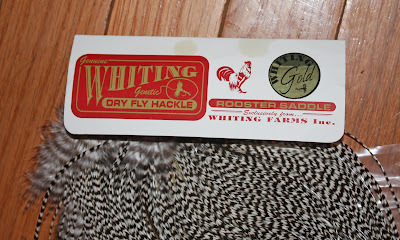 Every fly I've ever tied, I owe in some way to Eric Leiser. 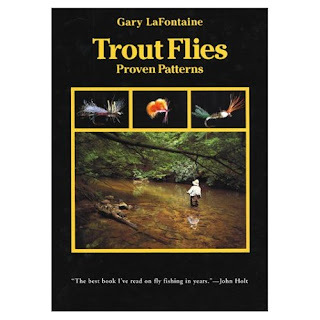 ﻿I may take some flak for writing this, but a cursory examination of Gary LaFontaine's flies make the man seem as if he was ... well ... an amateurish fly tyer at best. 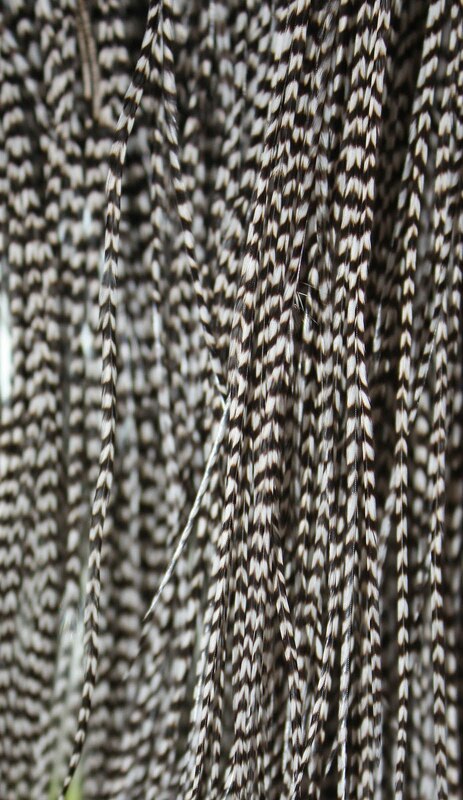 The hackles are often clipped or tied in at odd angles. The proportions always seem a little off. Certainly, the flies are nothing if not unconventional; oftentimes they just seem wrong. I suppose it was this quality more than anything else that made LaFontaine a genius. He responded to the problems of fly construction with an inquisitive eye and a mind for experimentation, and absolutely refused to genuflect before the altar of tradition. 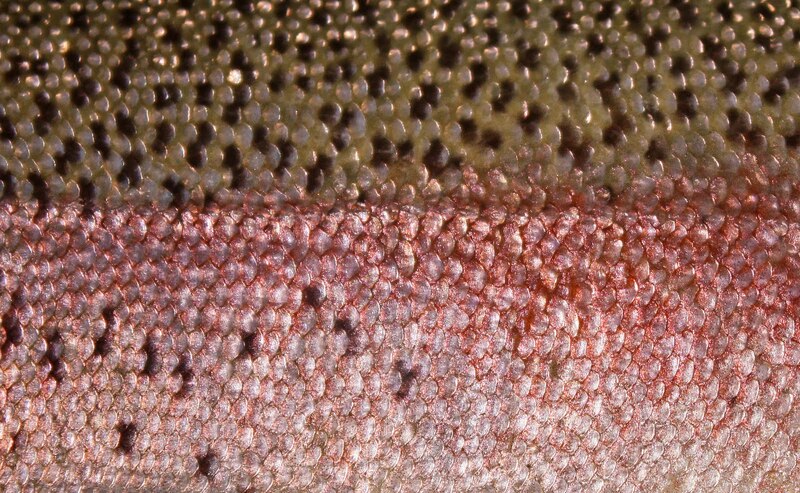 Nowhere is this more evident than in the now out-of-print, Trout Flies: Proven Patterns. Yes, the flies are strange looking. Yes, they're ridiculously effective. More than anything, however, Trout Flies demonstrates the process of innovation, and encourages in other tyers, the type of inquisitorial problem solving that made Gary LaFontaine one of the icons of our sport. 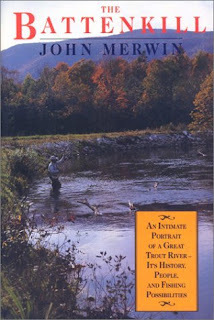 As a long time resident of Vermont and one time editor of Fly Fisherman magazine, John Merwin may be the very best candidate to write about the Battenkill (notice that I do not write Battenkill river ... as Merwin points out, kill means river ... ergo, Battenkill River would be redundant). In The Battenkill, Merwin gives us an exhaustive and thoroughly researched portrait of the river, the surrounding communities, and their people. 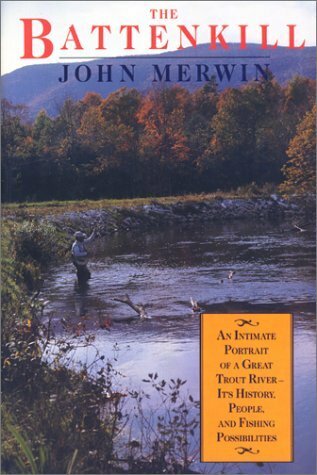 This is not a fishing book in itself; it is a history, and it just so happens that fishing - fly fishing in particular - plays a large part in the annals of the Battenkill region. 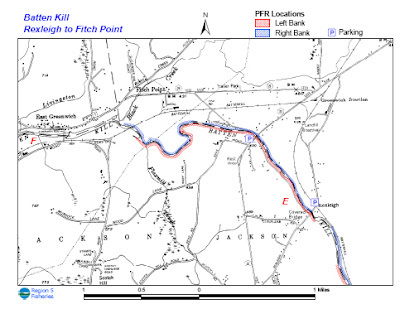 Reading The Battenkill reminds me of my early years along the river: the first trout I took on a fly, my first time sleeping under the stars, my first time in a canoe. More to the point, reading Merwin reminds me of the richness of our sport, and just how fortunate I am to call this place home. There are few locales in America that may trace their fly fishing lineage back to the beginnings of the sport in this hemisphere. The Battenkill valley is one of those places. Bob Linsenman and Kelly Galloup gave us Modern Streamers for Trophy Trout, and effectively changed the way many bug chuckers pursued their chosen quarry. 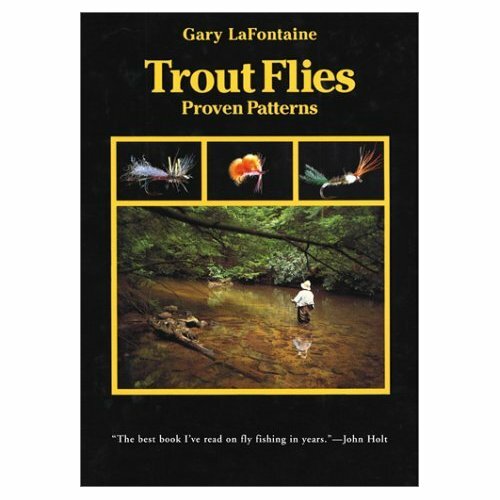 While the methods that Linsenman and Galloup discuss were hardly revolutionary (Merwin espoused using similar techniques years earlier in Streamer-Fly Fishing: A Practical Guide to the Best Patterns and Methods), what was truly innovative were their ideas regarding fly construction. 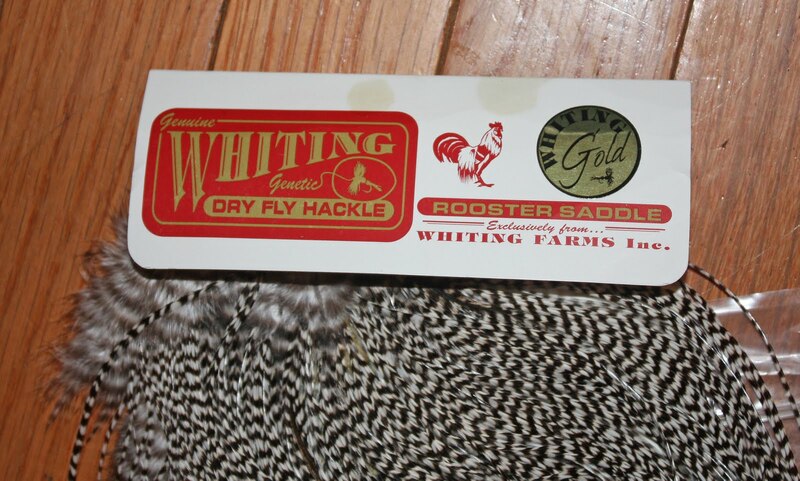 The flies that Linsenman and Galloup were recommending were huge by the standards of most fly flingers. 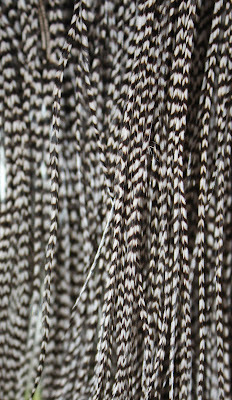 They dwarfed - not only in length, but also in girth and weight - most of the streamers available in most fly shops. All that changed following publication of the book. Suddenly, fly bins were stocked with an assortment of Zoo Cougars, Stacked Blondes (does anyone remember trying to find the keel hooks necessary to tie this fly? ), Conehead Madonnas, and Trick or Treat Crayfish. Tyers began experimenting, and experimentation led to some truly deadly flies. While the flies in my own streamer boxes are not the same patterns you will find in Modern Streamers, my flies do incorporate many of the principles about which Linsenman and Galloup wrote. For that I am most grateful. I got to say it was a good day."